There is a place in Utah where the colors of India are on display in a 13,000 square-foot furniture warehouse. C.G. Sparks (454 S. 500 West, 801-519-6900, CGSparks.com) is a furniture and home store like you've never laid eyes on in Utah—or in the United States, for that matter. The owners make frequent stops to Rajasthan into the cities of Jaipur, the "Paris of India," and Jodhpur, the "Blue City," to scout out magical treasures this region offers. You will be transported to a civilization that's over 5,000 years old with C. G. Sparks' array of antique furniture, lights, artwork, textiles, hardware and accessories. Its new furniture is equally creative with reproductions of classics and retakes made with reclaimed materials such as wood, iron and brass. C.G. Sparks' huge warehouse sale is Sept. 18-19, 9 a.m.-8 p.m. It's the biggest sale of the year, with savings up to 75 percent off. You may want to camp out—because the deals are that good. The experience may give you full on sensory overload. The only thing missing is the smell of sandalwood. 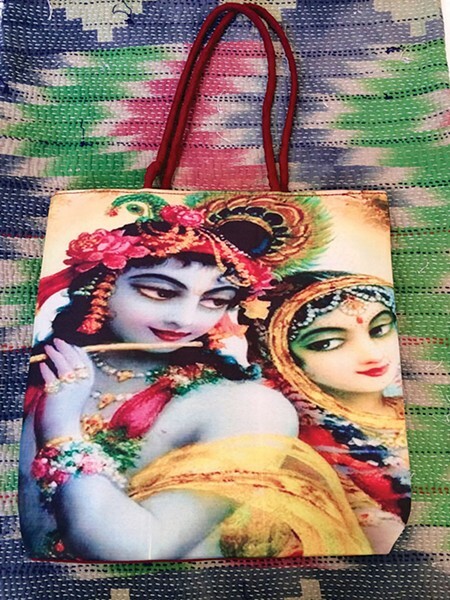 Bollywood Market Tote, $15, originally $35 (available while supplies last). Gudri Quilt: $125 a traditional Indian blanket, upcycled with vintage saris patched together. No two are alike. 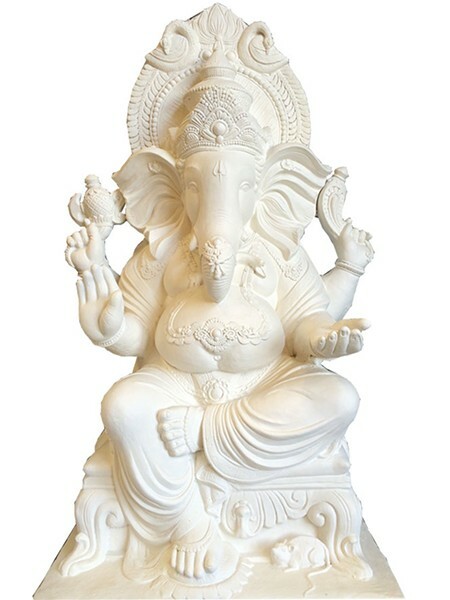 Ganesha plaster statue: small, 3 1/2 feet $430; medium, 5 1/2 feet, $670; large, 8 feet, $1,040. One of the most important deities in Hinduism, Ganesha is a god depicted with an elephant head and human potbelly body. He is revered as the remover of obstacles and the god of success. This item is for indoor use only, and ready to paint and decorate—imagine the possibilities. Personally, I see lots of gold, red and orange. Sideboard: $1,320, teak credenza in weathered blue finish. 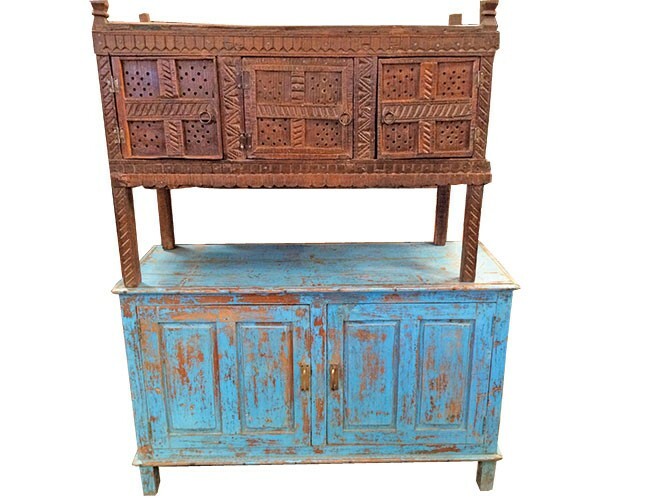 Damachia: $600, traditional Indian wedding chest used by brides to carry belongings to their new life. The piece features raised, teak decorative wood carvings. Goshen Farmhouse Pendant Light, $35 warehouse sale pricing, regularly $120. 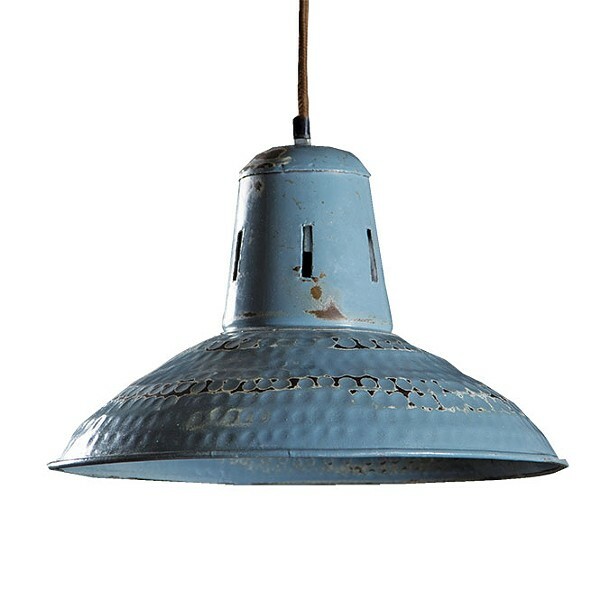 Light is hand-formed steel in vintage blue and will look great in a bar, kitchen or office setting.